In times when financial decisions are life-shaping, researchers cannot disregard the importance of understanding what is hidden behind this machinery. There is no better way to look at it more in the depth but to observe the core where the magic happens – the human brain. Behavioral economics appeared in the second half of 20th century and it served as a perfect way to explain the irrationality of human behavior. One of the first ground-breaking papers that contributed to the development of behavioral economics was written in 1979 by psychologists Daniel Kahneman and Amos Tversky titled Prospect Theory: An Analysis of Decision Under Risk. Kahneman and Tversky provided a framework that explained some decision-making biases called heuristics. They broke the ice and more than 50 years later, we can talk about the merging of neuroscience and economics and finance. With the emergence of neuroeconomics, a field that connects brain-related neuroscience with economics, the analysis of human choice involving monetary rewards is no longer a Holy Grail that we need to find. This time, it seems that researchers have never been closer to the fundamental understanding of the patterns shaping individual’s financial decisions. What does actually happen in the brain? 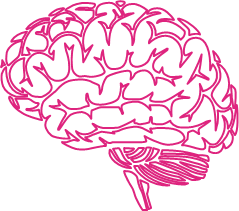 Most of the financial decisions are undertaken in the Frontal Lobe (a part of the Neocortex). The frontal lobe includes parts engaged in decision-making processes such as Anterior Insula, Medial Prefrontal Cortex and Nucleus Accumbens. In plain English, the frontal lobe areas are the brain centers in charge of higher- level thinking. This involves problem-solving, including reasoning, making judgments, making plans for the near and far future, making choices, taking action, solving problems and generally controlling living environment. Sounds like a list of challenges every investor faces, doesn’t it? So this is a typical example: Nucleus Accumbes is a human center for pleasure. If you as an investor seek to gain the profit from a particular investment and eventually you get it, your Nucleus Accumbens would light up on the fMRI brain scans, like a Christmas tree. However, as soon as the profit gain is acknowledged, the activity in the pleasure center quiets. On the other hand, your Insula might be taking the action which would calm down the over-excited pleasure center. This may result in non– investing. It is the executive brain – Prefrontal Cortex – that manages these forces: The pleasure center (Nucleus Accumbes) and the risk concerns (Insula). If the risk concerns turn into the fear of loss, then the fear center – Amygdala – is activated. This can make you quit on the investment intent. Again, the Prefrontal Cortex is a mediator. It allows us to work towards defined goals (states the individual defines as good or bad, therefore worth pursuing or not. )So instead of acting purely on the pleasure or fear (emotions) triggered by the Nucleus Accumbes or the Anterior Insula, we might give the Prefrontal Cortex a chance to deal with the situation in a more rational way. Noting down what the Nucleus Accumbes or the Insula says (“I am afraid of losing money again. Better take the small profit now before it is too late and the stock turns into the red again”) enables you to change perspective. Writing thoughts down, reflecting (allowing the Medial Prefrontal Cortex to do its work) by comparing the current situation with prior decisions leads to a more rational behavior. Here comes tritra into play. By using the investment journal, you can keep track of your thoughts. Plus, we are working on a feature called Trade Guard. It will match information from your journal and other sources such as the transaction history with expert knowledge from the discipline of Behavioral Finance (typical pitfalls humans regularly make when taking decisions). Furthermore, it speeds up the feedback loop by uncovering patterns which are correlated with wins and losses. tritra is a tool made by investors for investors. In contrast to other solutions, we are not developing a software that drives sales for corporations. Instead, it acts in the best interest of the user. If you like what we do, please sign up for our waiting list to get early access to our iOS smartphone app or send an e-mail to office@tritra.eu to get in touch. The aforementioned centers and described processes are just a grasp of the brain complexity. The brain is still a black box for many, but the proximity of neuroscience and brain science can now reveal what hasn’t been revealed before.